Weeks before this visit to Amsterdam IAP, the arrival of An-22 UR-09307 had been announced on the internet; even newspapers reported expectations to see hundreds of aviation enthusiasts and 'plane spotters' gathering at the airport for this unique aircraft: the sole commercially operated Antonov AN-22. And indeed, hundreds witnessed the arrival around 15:00 on 02May07 , arriving empty from Luxembourg, on-time even! Unfortunately I could not witness the approach and landing of UR-09307 and was unable to feast my ears on the unique sound of the 4 Kuznetsov NK-12MA turboprop engines (each driving a pair of contra-rotating, reversible pitch, four-bladed propellors... unique!). However, I did sneak out of the office that afternoon to catch a glimpse, while it awaited the loading to start. A closer look at the Kuznetsov NK-12MA turboprop engines and the contra-rotating propellors. Note the door is open, but inspectors from the Dutch aviation authorities took a long time going over the aircraft and its documentation, preventing the crew's quick escape to the hotel. Indeed, the presence of the officials kept me from going onboard, something I regretted very much as it had been 4 years since I had my last chance for a look inside. 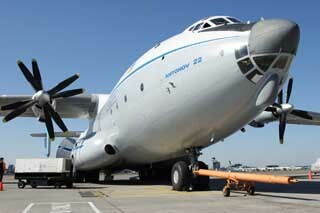 In 1962, Antonov began designing the An-22 "Antei" or "Antaeus". Its design specified that it had to be able to carry heavy or outsized loads over long ranges and to operate from basic or unprepared airfields. 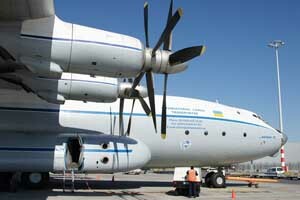 Antonov came up with this An-22, a huge four engined turboprop. 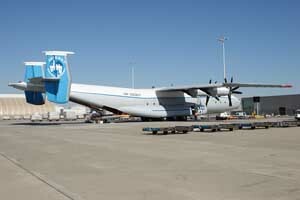 Until Lockheed built the C-5A Galaxy, the An-22 was the largest aircraft in the world. Even today, it remains the largest turboprop to enter production. 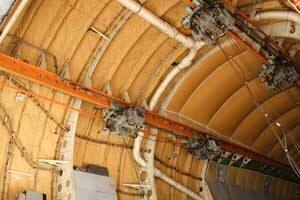 The An-22 is of all-metal construction. It has a high-mounted wing to avoid obstructing the main cargo deck, an upswept rear fuselage with rear loading doors, an integral rear loading ramp and a twin-fin tail unit. Two retractable jacks can be extended adjacent to the rear loading ramp hinges to increase stability during loading. Antonov also provided two winches and four travelling gantries to help operators load the aircraft's unpressurised main cargo hold. The prototype made its first flight in Feb65 and made its first appearance in the Western World at the Paris Air Show only 4 months later. 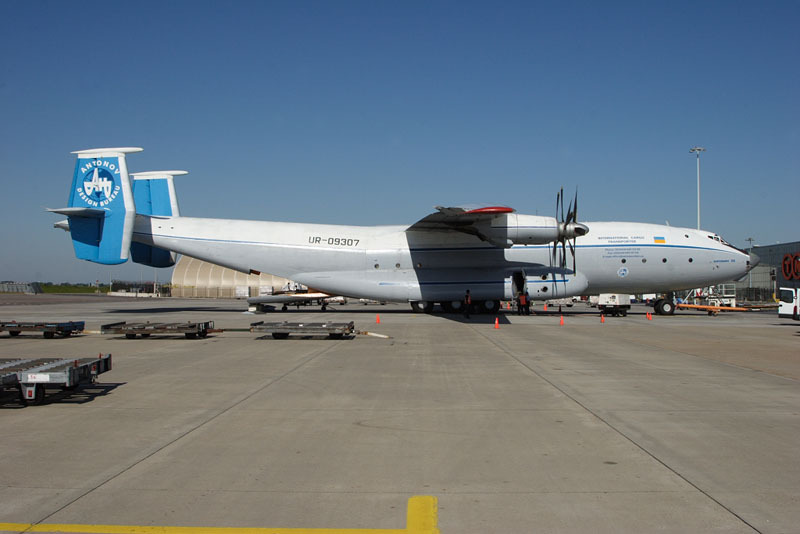 Two versions of the An-22 were built: the standard An-22 and the upgraded An-22A which features self-start capability, a modified electrical system and different avionics. An early proposal to build a twin deck 724-seater airliner variant was soon abandoned. 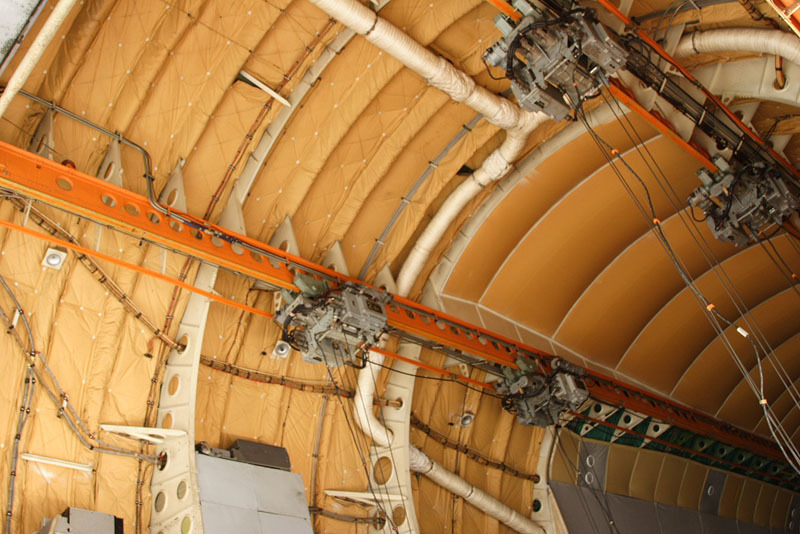 In its heyday the An-22 established many payload-to-height and speed-with-payload records. Although often used by the Russian Ministry of Defence, during Soviet times all but one wore Aeroflot colours. This "civilian" status made it easier to obtain landing rights and overflight clearances. Sixty-eight were built before production ended in 1975. None were exported. Apart from the examples operated by the Russian Ministry of Defence, a single An-22A (UR-09307 !) is regularly operated by Antonov Airlines (from Kiev,Ukraine) and is the only An-22 registered outside the Russian Federation. With tightening noise regulations forcing Ilyushin IL-76s out of Western skies, the larger, re-invigorated An-22 is now a useful alternative. The An-22 requires 5 or 6 cockpit crew. It also has a small pressurised cabin behind the flight deck which can accommodate about 30 passengers (a crew of loadmasters travel onboard on each assignment). Cockpit instrumentation is completely electromechanical. First visit to AMS since 2003. 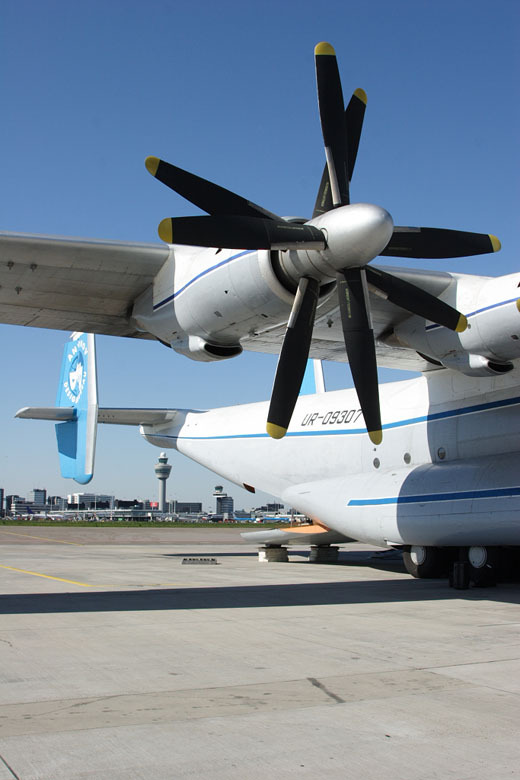 The Antonov AN-22 has a self-supporting system to load cargo. For more on this look at my 2003 page. Purpose of this visit was to haul this heavy Siemens equipment to India, to be used in the oil industry there. Routing for the next day, 03May07: Amsterdam - Baku, Azerbaijan - Bombay/Mumbai. Amazing, astonishing, awe-inspiring, awesome, heart-stirring, impressive, magnificent, overwhelming, spine-tingling, stunning, cool, dramatic,exciting, extraordinary, grand, imposing, inspiring, majestic, massive, monumental, remarkable, splendid, striking, superb, thrilling, towering, breathtaking, extraordinary, impressive, marvelous, spectacular, staggering, striking, stupefying, stupendous, wonderful, brilliant, daunting, formidable.. are a few impressions that come to mind ! The next morning I got up early and noticed the on-time off-blocks at 0800. Unfortunately, after a lengthy procedure, no.2 engine did not start (I was told no.2 gave problems with departure at LUX on 02May07, but did not cause delay... then). The engines were shut down and UR-09307 was towed back to its parking spot on the Sierra-ramp. And I left to have a quick breakfast and some hot coffee. Why I don't have photos of that magic moment to share....?! When I took the battery out and put it back in, the problem was gone. However I switched the batteries the complaint did not happen again! Something like that is bound to happen at the worst possible moment and of course the worst thing is that it is my own stupid mistake: always make sure -in time- the camera is properly set and working. Hopefully there is a next time. Antonov Airlines (ADB, Gostomel) has resumed commercial An-22 operations following the return to service of UR-09307 (cn 043481244) late last month. 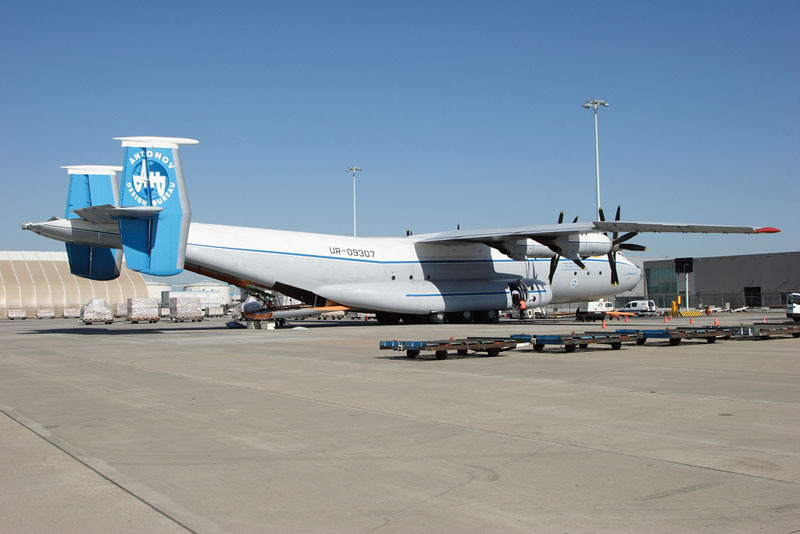 The Antonov Design Bureau (Gostomel) subsidiary says the freighter was recently returned to a state of airworthiness following a protracted period in storage. 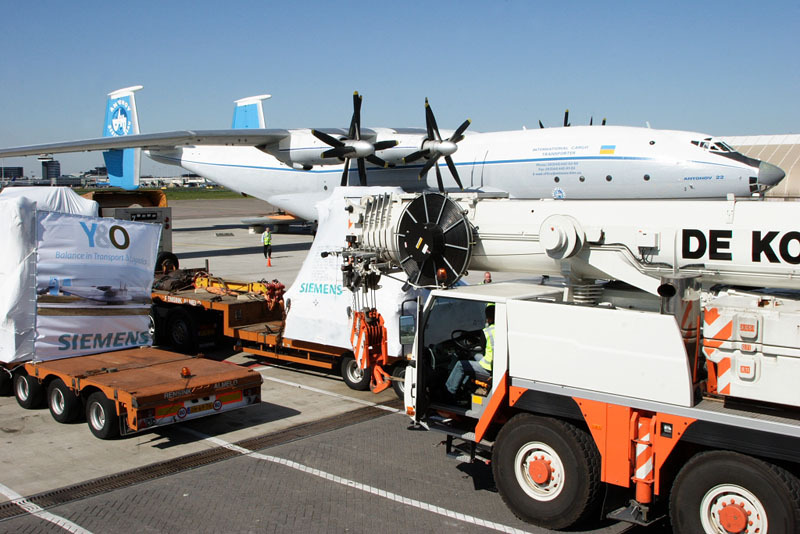 Though the 42 year-old turboprop did return to the skies as early as February, its first commercial flight - Gostomel to Leipzig/Halle - only took place on June 30. Antonov Airlines says it decided to resume An-22 operations following strong interest in the type's capabilities from customers around the world. is capable of ferrying loads of 60 tonnes up to 5,000 kilometres. The Ukrainian out-sized freight specialist also operates two An-12s, one An-26, one An-74T, seven An-124s, two An-148-100s, and one An-225.